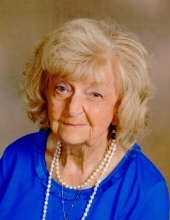 Virginia S. Suter, 88, of Weyers Cave, passed away Wednesday, January 30, 2019 at Sentara RMH Medical Center. She was born in Linville on December 26, 1930, and was a daughter of the late Harry Lester and Halsie Irene (Rhinehart) Snyder. She was united in marriage on July 1, 1951 to Marvin N. Suter, Jr., who preceded her in death on February 7, 2004. Survived by two daughters, Patricia (Gary) Pence, of Harrisonburg, and Melinda (Larry)Fox, of Weyers Cave; and a son Marvin N. Suter, III of Bedford. She is also survived by four grandchildren, and eleven great grandchildren. A private burial was held on Sunday, February 3, 2019 at Oaklawn Cemetery in Bridgewater with Rev. Wendell L. "Sonny" Henkel officiating. In lieu of flowers, memorial contributions may be sent to Anicira Animal Hospital, 1992 Medical Avenue, Harrisonburg, VA 22801. To send flowers or a remembrance gift to the family of Virginia S. Suter, please visit our Tribute Store. "Email Address" would like to share the life celebration of Virginia S. Suter. Click on the "link" to go to share a favorite memory or leave a condolence message for the family.